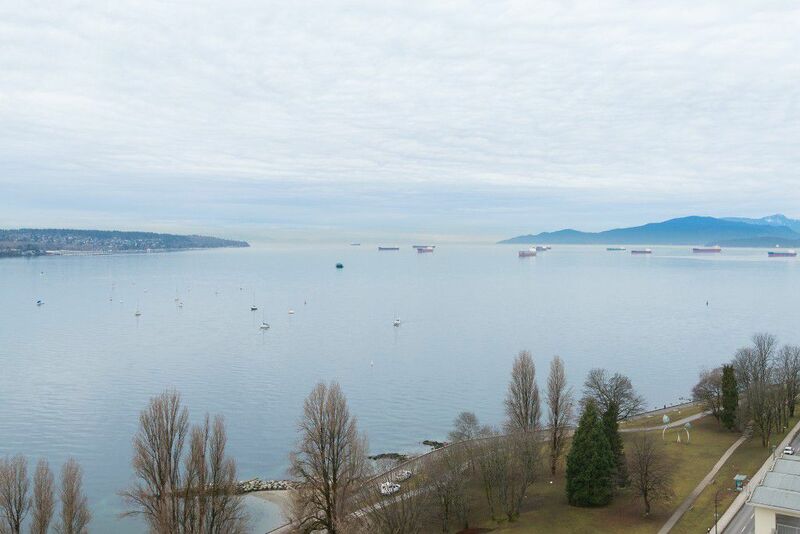 Spectacular unobstructed east, south and west view of Burrard Bridge, Point Grey, UBC Endowment Lands and English Bay from this spacious 1,590 sq. ft. TUdor Manor condo. This property's two bedrooms have ensuite bathrooms, a den, and a vanity room for guests. It comes with two side by side parking stalls and one storage locker. First time on the market by the original owners who enjoyed it as their vacation home, the condo is in great original condition. Enjoy the breathtaking view from all the rooms and the private lifestyle with 24 hrs. concierge and one other unit on this 20th floor.